VMworld 2018 was hosted in Barcelona, and is returning there for 2019. It feels odd to be writing about VMworld 2018, in the week of AWS Re:invent. However, work and family schedules have meant that I’ve been focus on other things since I returned. Including preparing to leave my current role, having accepted a new challenge in the new year. More on that next month. 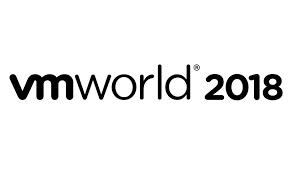 This year marked my third VMworld over the last decade, I’d previously attended events in San Francisco and Cannes. Unlike those previous events I self funded this visit and moreover the wife joined me for a well deserved holiday. The self funded experience allowed me to feel no guilt whatsoever in focusing much of my time connecting with members of the community rather than sessions. I also made a decision that I was not going to bring my laptop. This was to avoid the temptation of logging into work and also to try and remove a screen between myself and the sessions and any conversations. As discussed in an earlier post the first day I gave over to design studios, which meant my VMworld got off to an excellent start. The design studio sessions where some of the best of the week. They perhaps flew a little under the radar to most, which was a good thing for me as I got to spend sometime with UX and product managers focused on delivering the next wave of innovation. Coming out of the keynotes, where announcements that reaffirm VMware’s strong position in the market and how that has translated to make them the partner of choice for c-loud service providers. The extending of the relationship with AWS, creates a formidable partnership. Further strengthened through the AWS Outpost announcement from re:invent. At VMworld we where perhaps given a glimpse toward this announcement, with the introduction of AWS relational databases running from the private cloud on top of a VMware estate. The VMware on AWS model is also something that the organisations are looking to further exploit. IT infrastructure takes time and energy away from the IT organisation, and IT organisation that many businesses would prefer spent time tackling digital transformation of services. Project Dimension will extend VMware Cloud to deliver SDDC infrastructure and hardware as-a-service to on-premises locations. Because this is will be a service, it means that VMware can take care of managing the infrastructure, troubleshooting issues, and performing patching and maintenance. A cloud push was in full swing, so it was easy to miss an announcement that even 5 years ago would have been big news. VMware announced that vROPs is gaining support for IBM Power. Anything that can help to simplify and provide a holistic view of the data centre will always get my vote. Highlights from the sessions included insight into the top ten automation requests, fireside chats with the VMware CIO team (despite there being no fire these were good!) and a brand building session with Joe Baguley and Amanda Blevins. Like a fool I booked a VCAP Deploy exam for the Thursday morning, after VMworld Fest…. So a mad dash out of the event center to a testing center was required as the deploy exams cannot be offered onsite. I did however find myself sat next to @Kev_johnson for the exam, so at least I had someone to compare post test notes with!